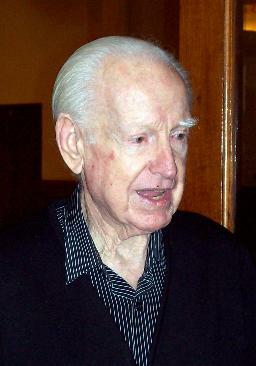 Internationally renowned concert pianist Glyn Townley (Ivor Glyn Williams) passed away in Durban last week. Born on December 18, 1911, he celebrated his 100th birthday last December, making him one hundred years and one month old on the day he died. After gaining the LRAM and ARCM diplomas with distinction, he made his first London appearances to critical acclaim at the prestigious Grotrian and Wigmore Halls and soon began to build up an enviable reputation. This took him all over the world, playing on various radio networks and in many of the world’s leading concert venues such as The Royal Festival Hall in London and the Amsterdam Concertgebou in both recitals and concertos. The latter he has performed with many orchestras under the baton of such world-renowned conductors as Sir Henry Wood, Janos Furst, Piero Gamba and Hugo Rignold. His wide and varied repertoire consists of 700 works including 35 concertos. In 1983, Glyn was the recipient of the Durban Critics Circle Award in recognition of a distinguished concert career of half a century and of his services to music. He has also made countless radio and concert tours of South Africa, his home country, and although now officially retired for some years, continued to play a great deal in a voluntary capacity and has given well over 600 recitals in retirement homes and villages in Durban. Although he lives in Durban, Glyn has spent much of his life abroad, largely in England and Australia which are two of his other favourite homes. Whilst living in London, Glyn took up ice skating and won many medals, also for swimming and he is an accomplished ballroom dancer. He says that anything is possible if you put your mind to it. Glyn’s great passion is ships and he travelled mostly on cargo vessels in all shapes and sizes that took him to many exotic destinations around the seven seas. In accordance with Glyn Townley’s wishes, there will be no funeral. A private gathering was held in his memory by relatives and close friends.